Probate is the legal process through which a deceased person’s estate is properly distributed to heirs and designated beneficiaries and potentially any debt owed to creditors is paid off. In general, property that goes through probate is either distributed to the decedent’s last will and testament, or if there is none, then according to Ohio law. The probate process, on average, takes six to nine months after the probate case is opened with the court to complete. These processes can be long, contentious, confusing, and costly. Unfortunately, the probate process can even be so demanding that it can cause families to quarrel and split apart during an emotional and time of heart ache. It is no wonder so many people take steps to spare their families the hassle by working with an attorney to avoid probate as much as possible. Living trusts can help you avoid probate for assets such as real estate, bank accounts, vehicles, and more. Similar to a will, you create a trust document naming someone to take over as the trustee after you die, known as a successor trustee. Then, you must transfer ownership of your property to yourself as the trustee of the trust. Once completed, the property will be controlled by terms of the trust. Once you pass away, the successor trustee will be able to transfer it to the trust beneficiaries without probate court proceedings. If you own property jointly with someone else, and this ownership includes the “right of survivorship”, then the surviving owner automatically owns the property when the other owner dies. More simply put, when one owner dies, the joint assets simply transfer to the other owner. For example, titling bank accounts and real estate in the name of two people, thus making them joint accounts, those assets will not be subject to probate. An example is holding property in joint tenancy. Here, property held in joint tenancy with the right of survivorship automatically passes to the surviving owner when one owner dies. No probate is necessary. Ohio lets your register stocks and bonds in transfer-on-death form. Here, your beneficiary that you name will inherit the account automatically at your death. It also allows you to leave real estate with a transfer-on-death deed. To do this, you need to sign and record the designation affidavit now, and it will take effect once you die. Remember, the beneficiary has no rights until you die, therefore, you can revoke it or sell the property at any time while you are alive. Finally, Ohio also allows for transfer-on-death registration of vehicles. If you register your vehicle this way, the beneficiary you name will automatically inherit the vehicle after your death. You can add a “payable-on-death” designation to bank accounts such as savings accounts or certificates of deposit. When you do this, you still control all the money in the account. However, once you pass, the beneficiary can claim the money directly from the bank without probate court proceedings. 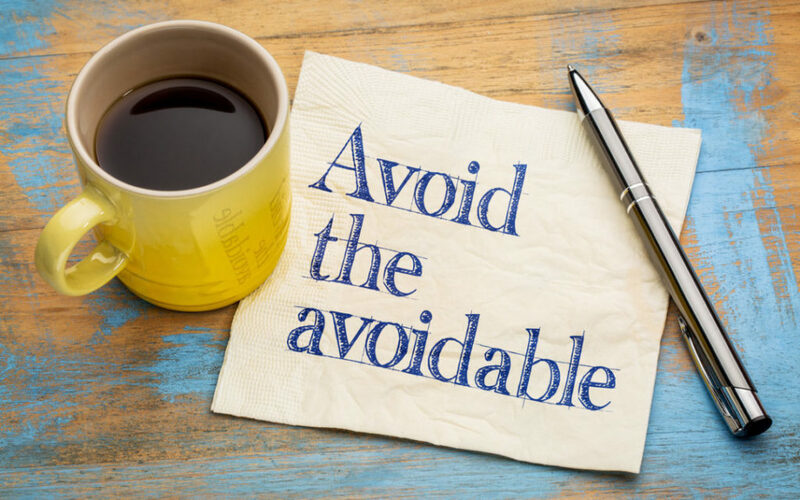 Of course, avoiding probate requires estate planning in advance. The best way to ensure you avoid probate in Ohio is to work with an experienced attorney. Consult with one of our experienced attorneys today by scheduling an appointment at (614) 452-9724!